Want the advantages of high octane gasoline without the hassle of trying to find it locally? 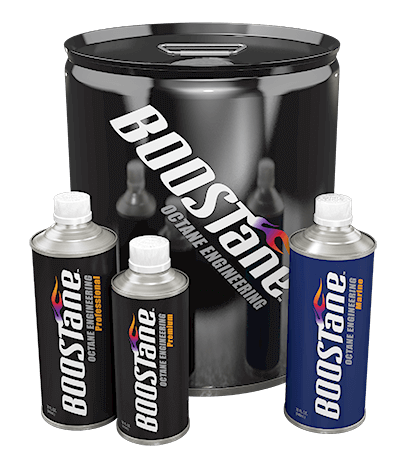 BOOSTane is an additive that can bring 93 octane pump gas up to a tested RON of 110 when used as directed. Originally developed for the offshore powerboat market, it is safe for oxygen sensors and catalytic converters, and contains no alcohol to damage sensitive fuel system components. From time to time we shoot off emails. They may be for promotions, events, sales, updates, or something else. You'll want these and the way to get them is to sign up here.